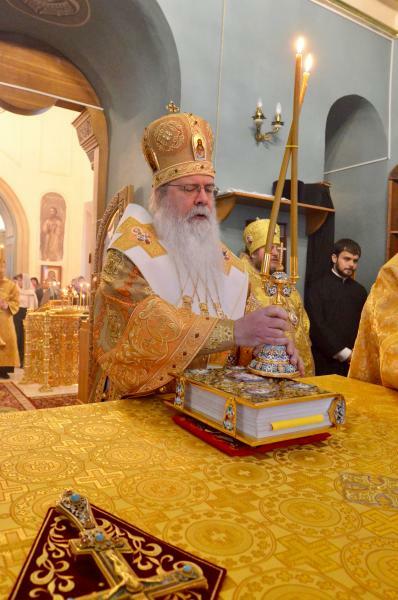 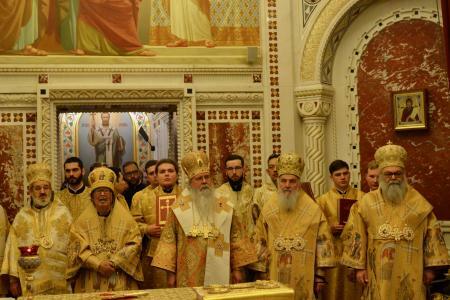 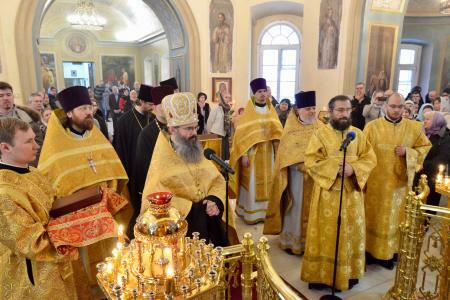 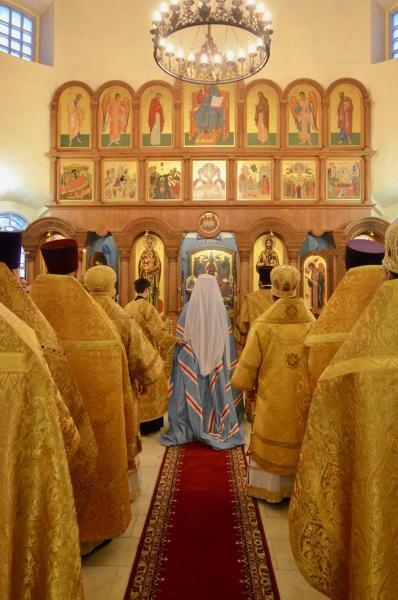 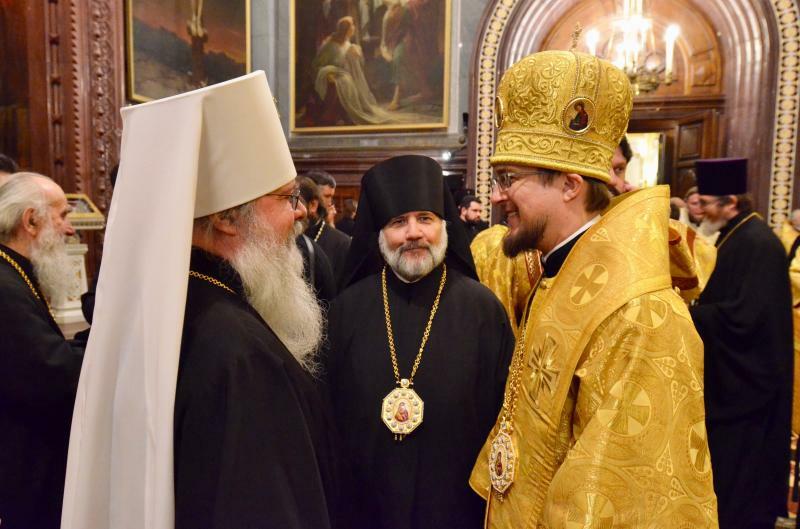 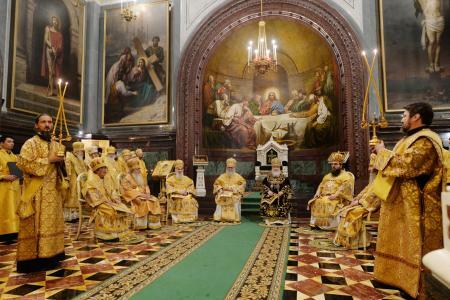 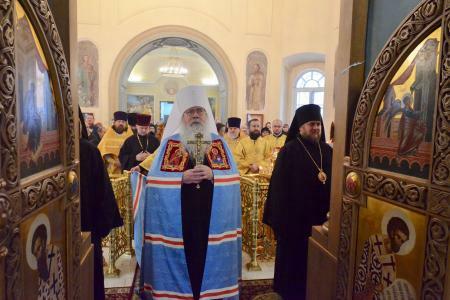 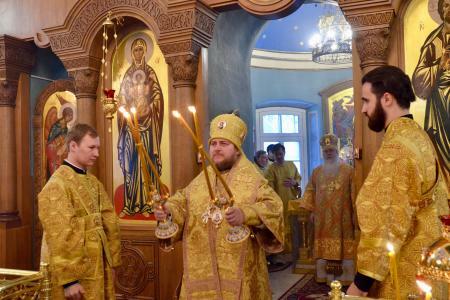 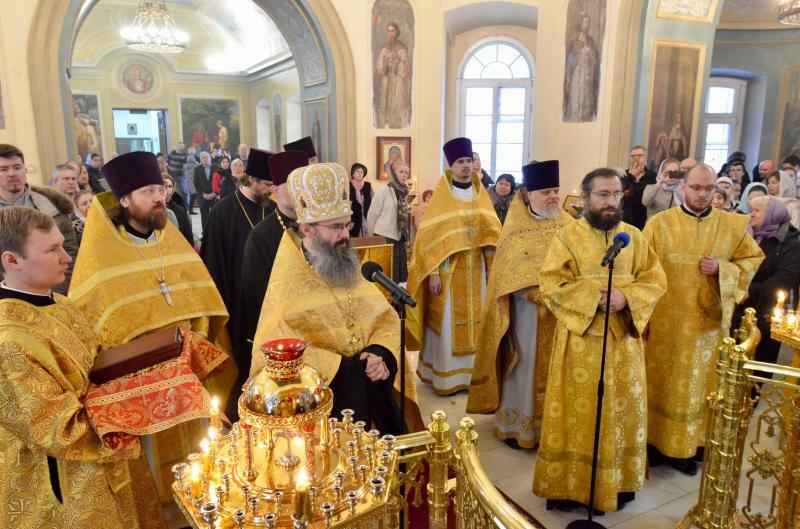 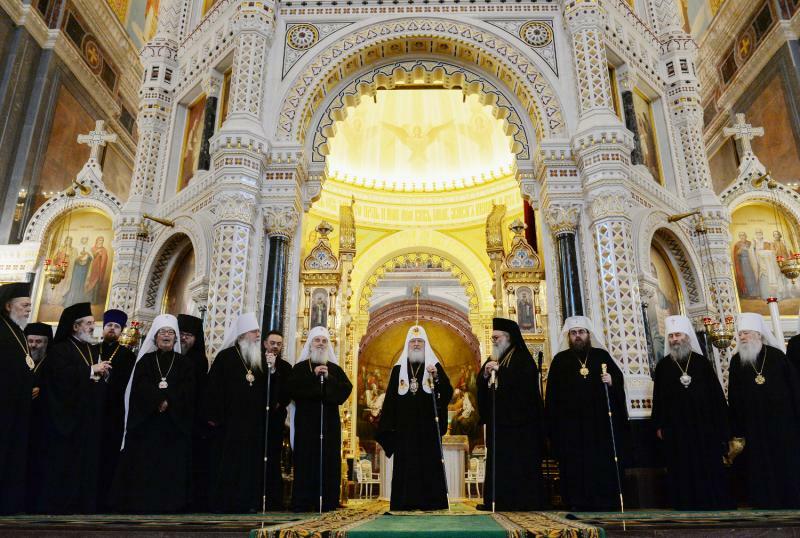 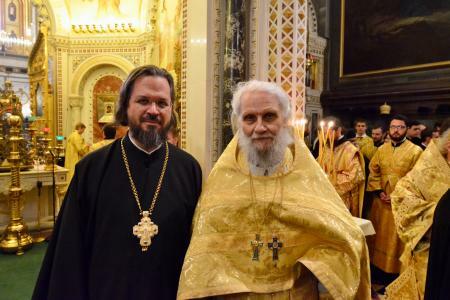 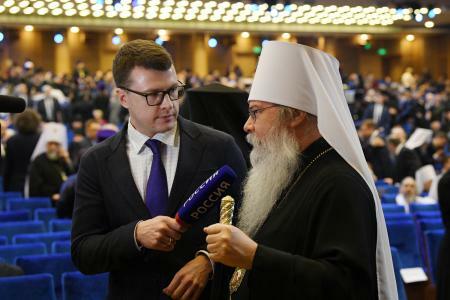 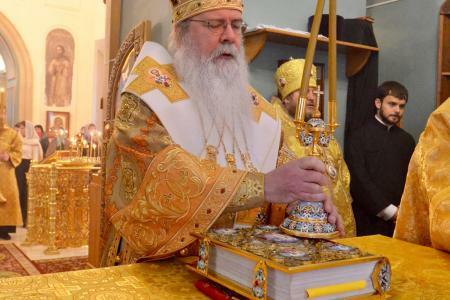 Accompanying Metropolitan Tikhon were His Grace, Bishop Daniel of Santa Rosa; Archpriest Alexander Rentel, Chancellor; Archpriest Daniel Andrejuk, OCA Representative to the Moscow Patriarchate; Melanie Ringa, Treasurer; Archdeacon Joseph Matusiak; and Subdeacon Roman Ostash. 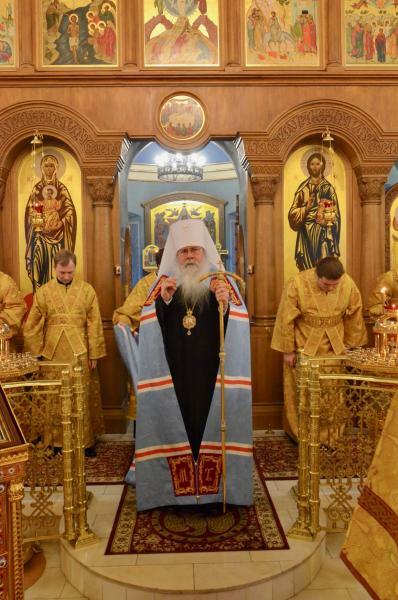 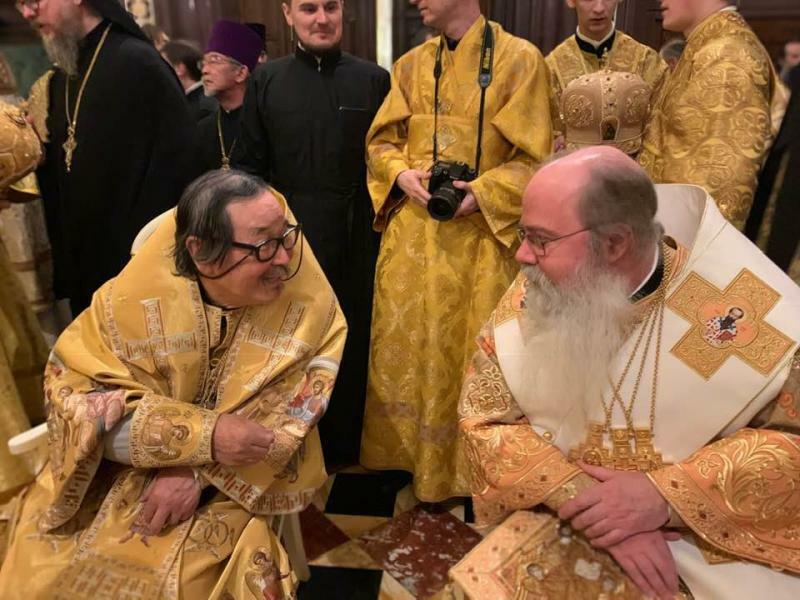 Metropolitan Tikhon and the OCA delegation arrived in Moscow on Wednesday, January 30, 2019. 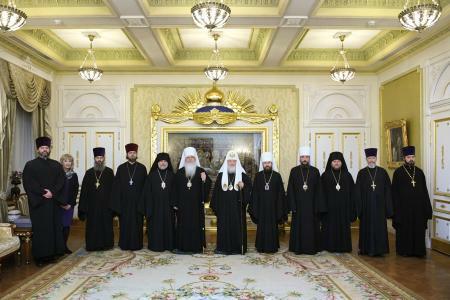 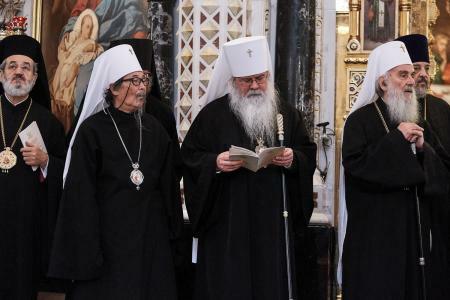 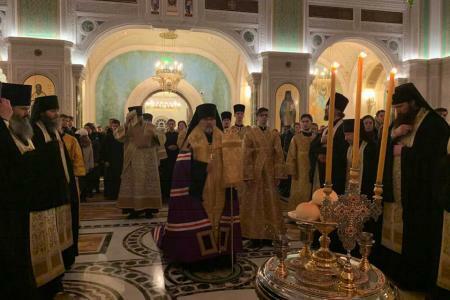 On the evening of their arrival, Metropolitan Tikhon and the delegation were received by Patriarch Kirill at the Patriarchal Residence at the Danilov Monastery. 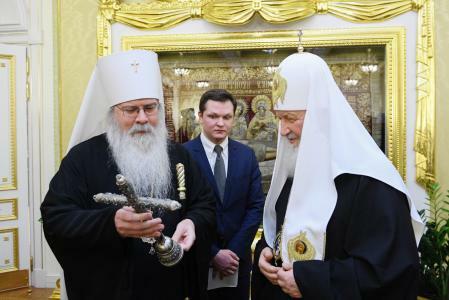 His Holiness welcomed Metropolitan Tikhon in the Patriarchal Chapel, after which they exchanged greetings and discussed matters of mutual concern. 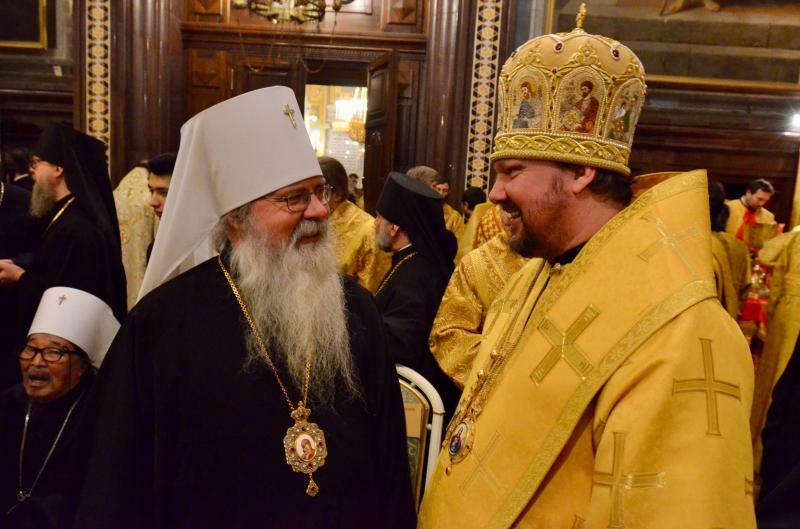 On the morning of Thursday January 31, Metropolitan Tikhon met with His Holiness, Patriarch Irinej of Serbia, at which time they discussed the current situation of their respective Churches and discussed possible fraternal visits in the future. 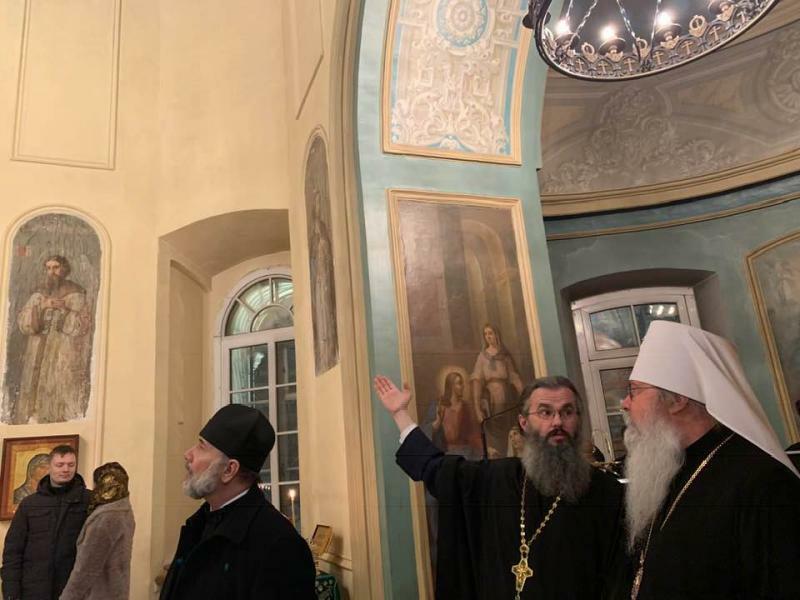 Metropolitan Tikhon and the OCA delegation then visited the United States Embassy to Russia, where they were received by Ambassador Jon Huntsman and met Canada’s interim Charge d’Affaires, Stephane Jobin. 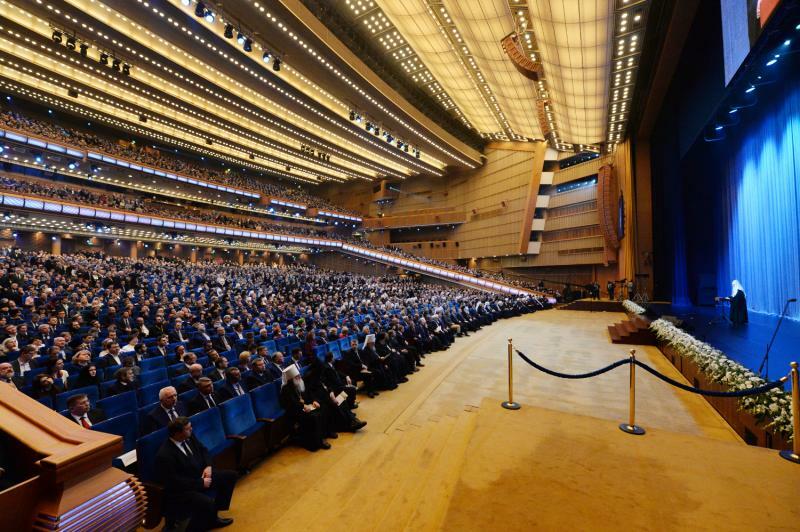 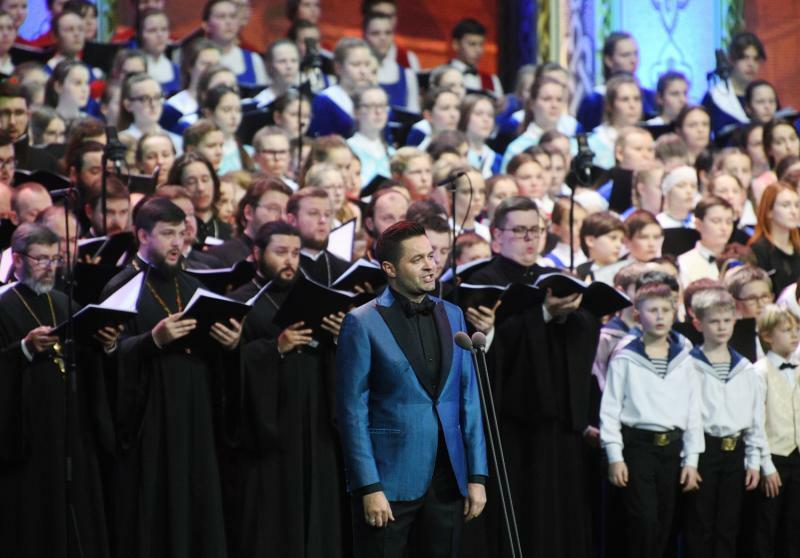 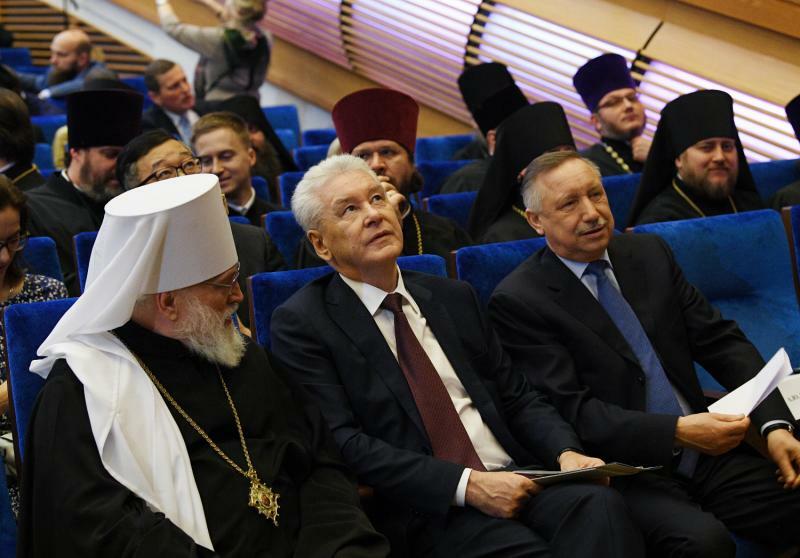 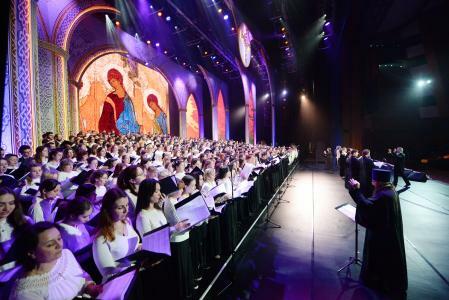 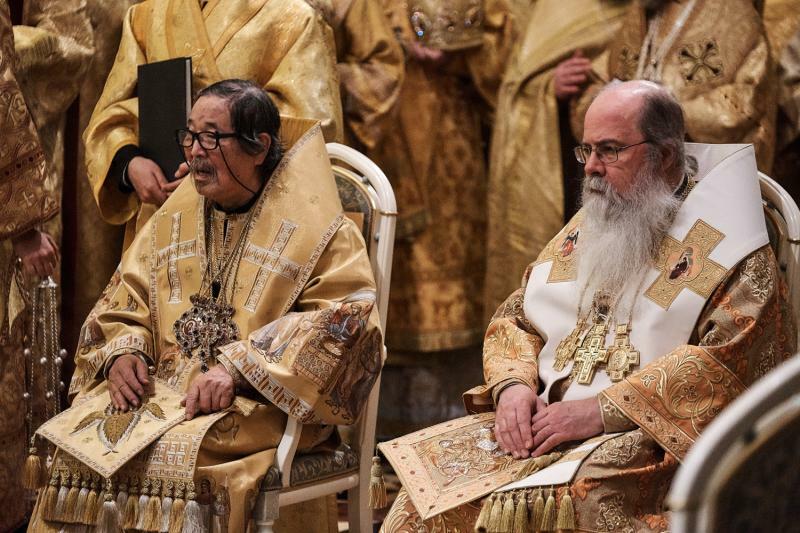 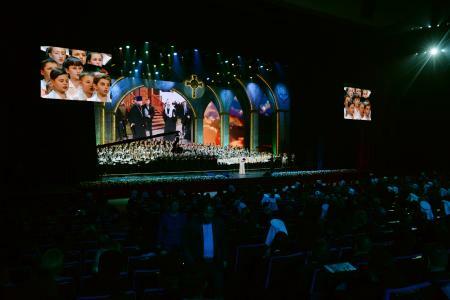 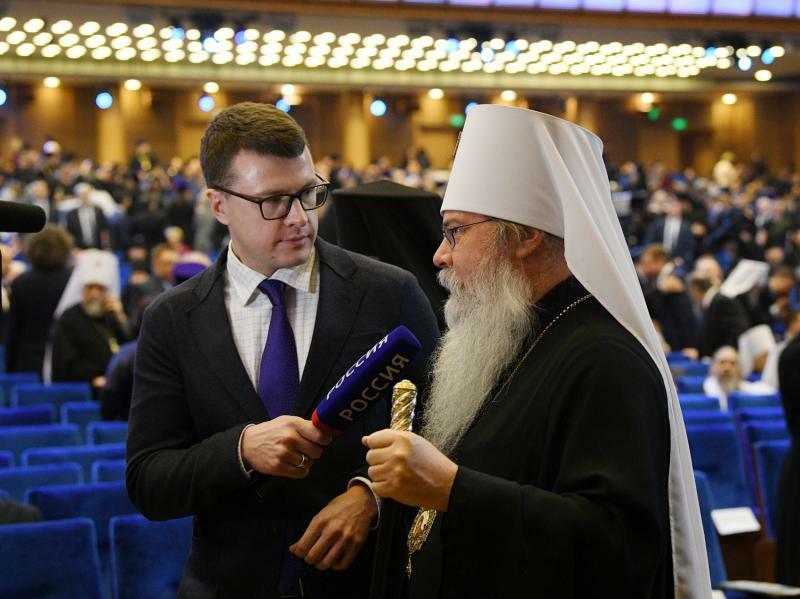 On Thursday evening, Metropolitan Tikhon and delegation members attended an anniversary concert at the State Kremlin Palace, at which a choir of 700 voices performed the concert of selections by numerous Russian composers. 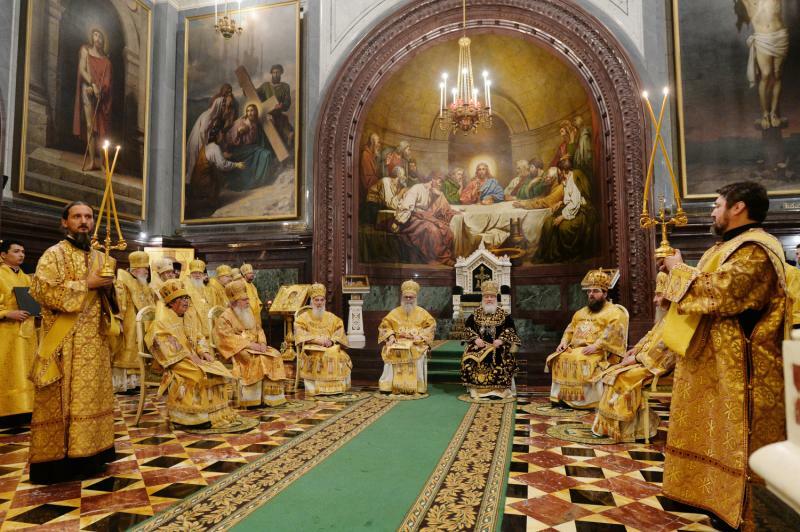 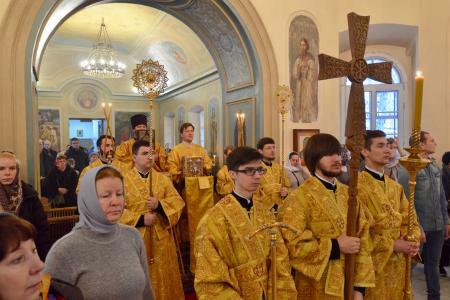 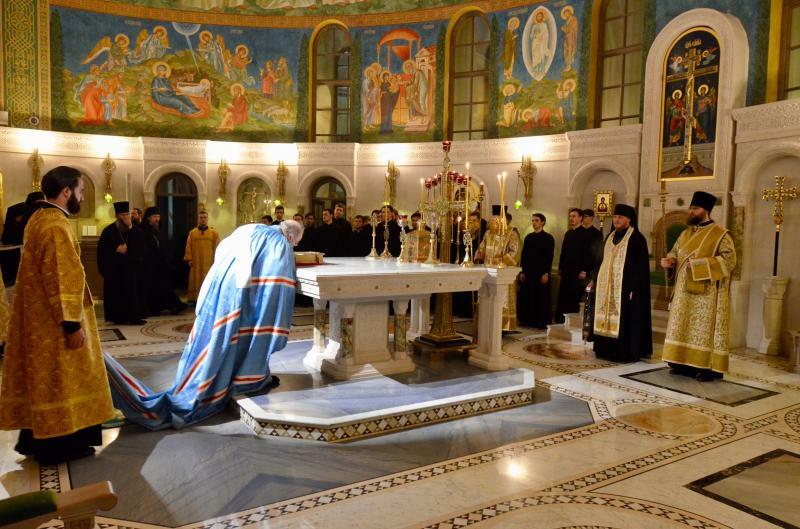 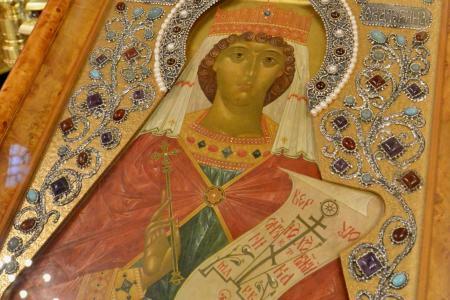 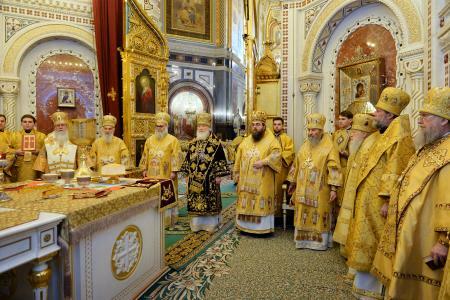 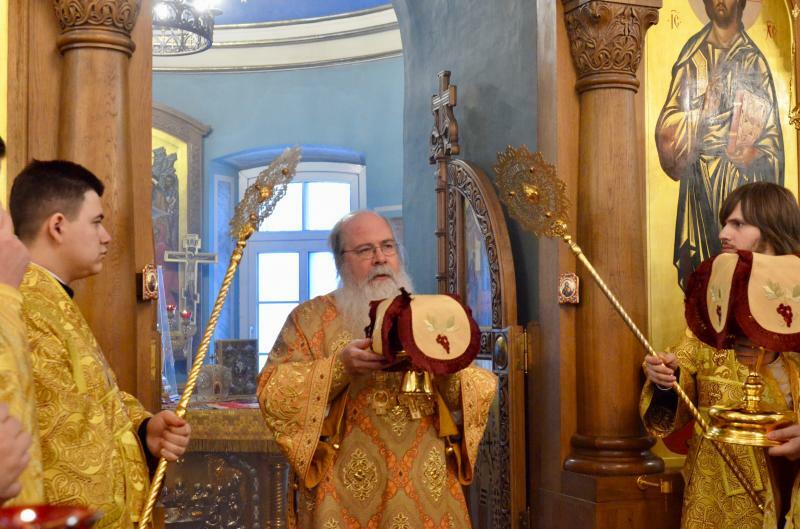 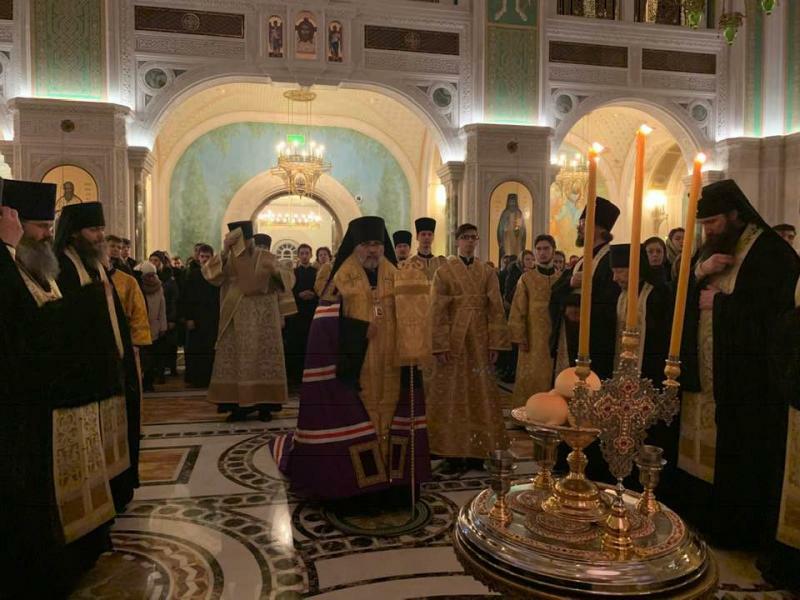 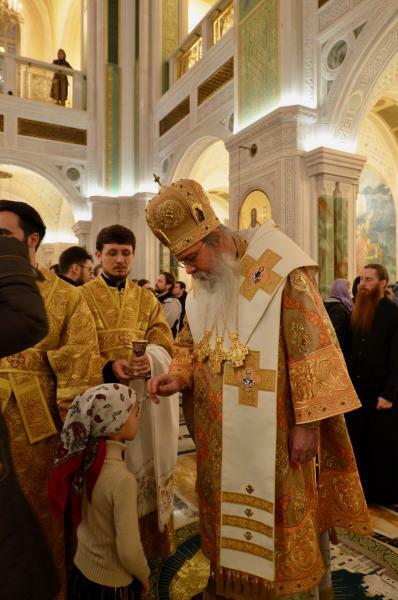 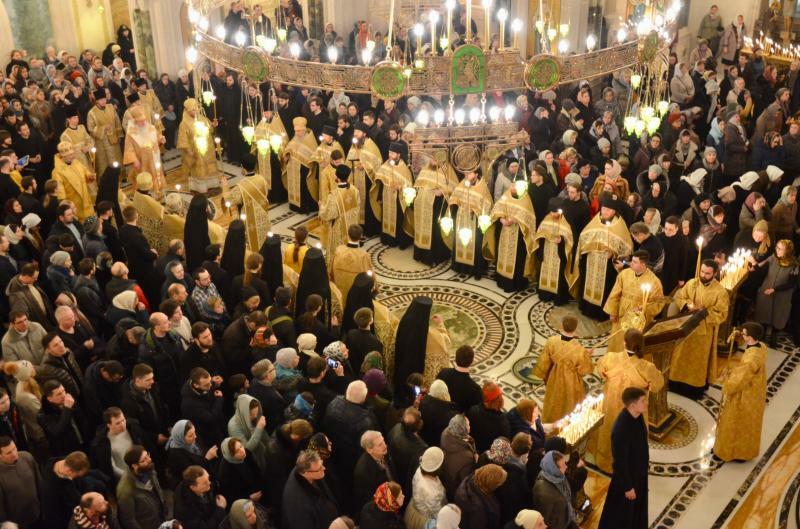 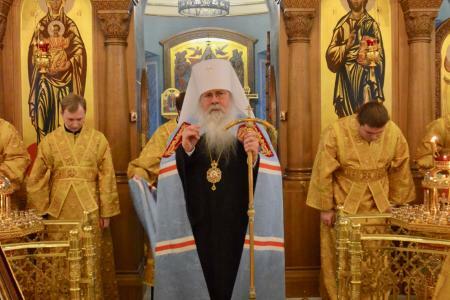 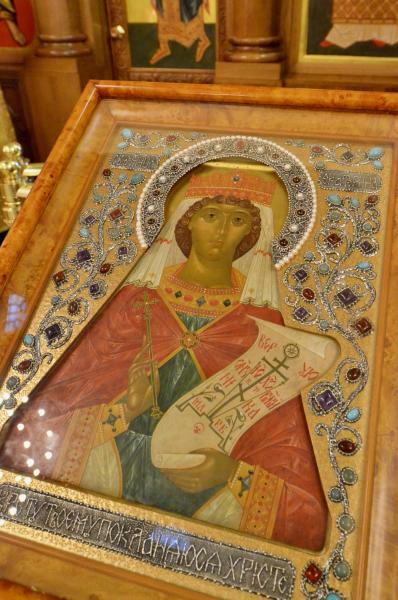 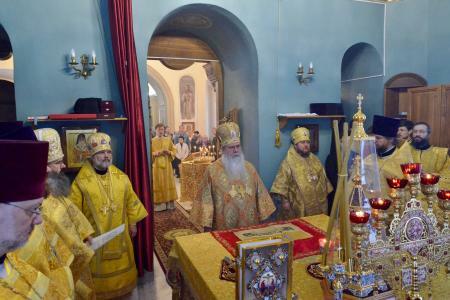 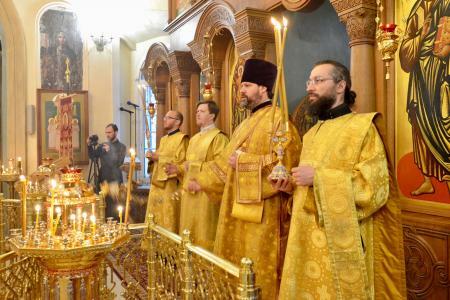 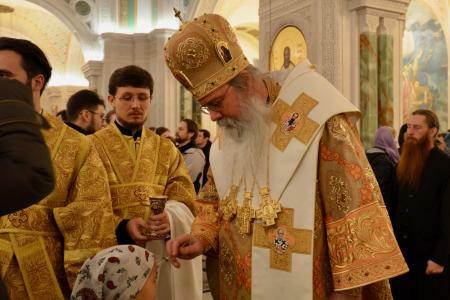 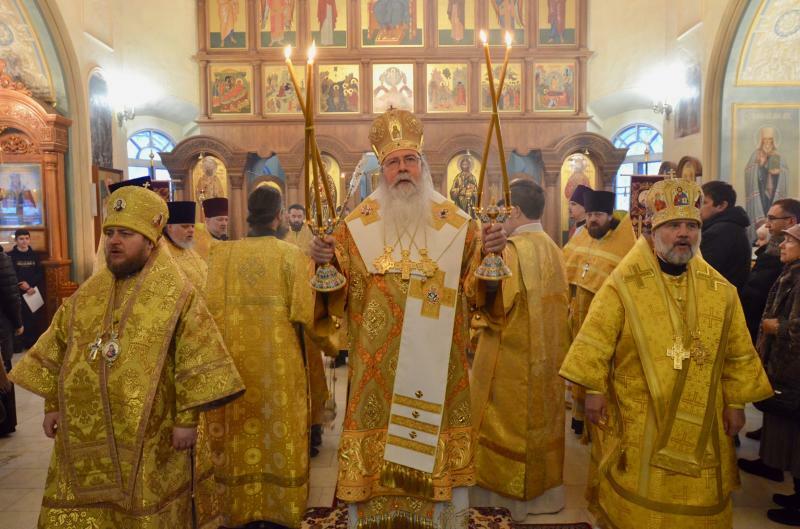 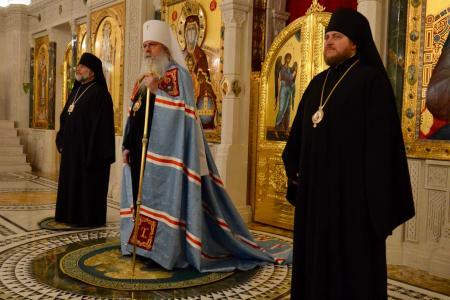 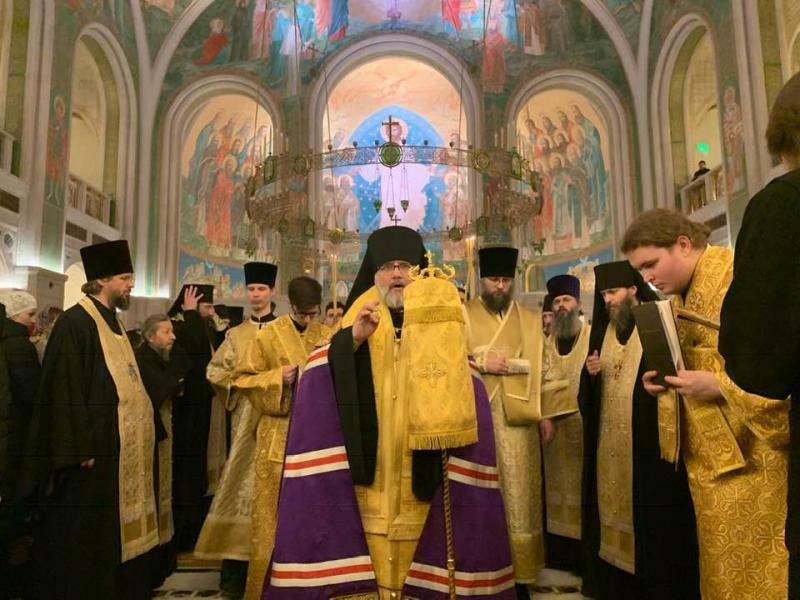 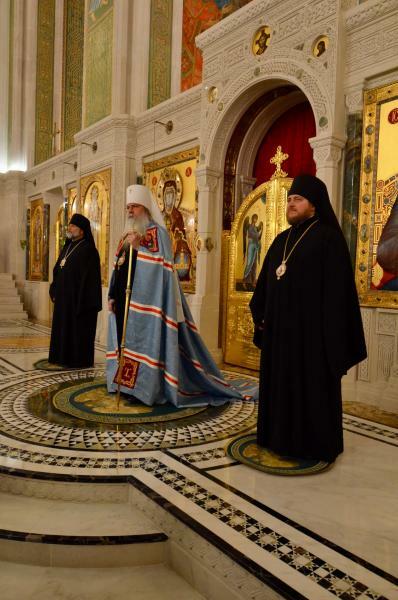 Metropolitan Tikhon and the OCA delegation visited Moscow’s Donskoy Monastery on Saturday, February 2, where they were received by His Grace, Bishop Paramon, Bishop of Bronnitsy and venerated the relics of Saint Tikhon the Confessor of Moscow. 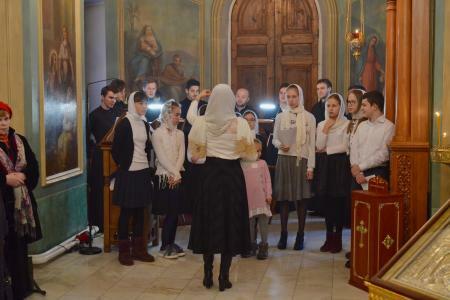 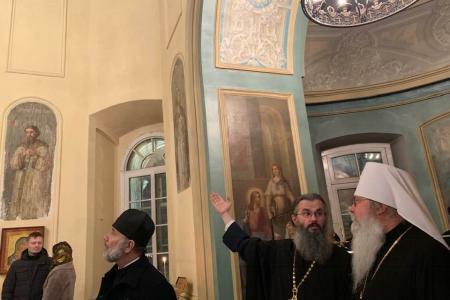 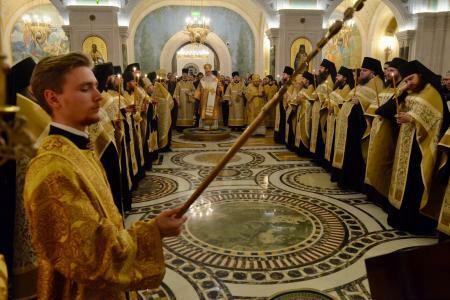 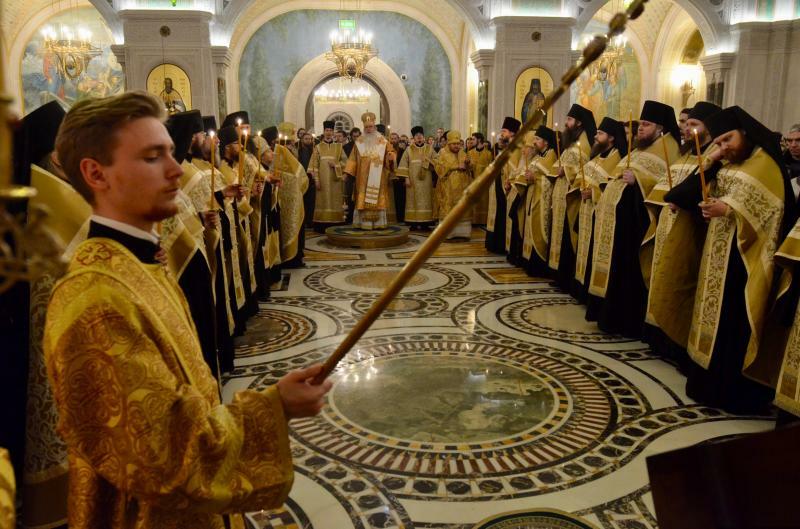 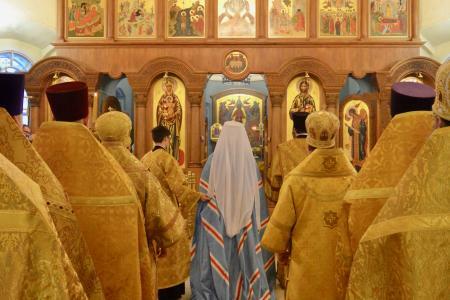 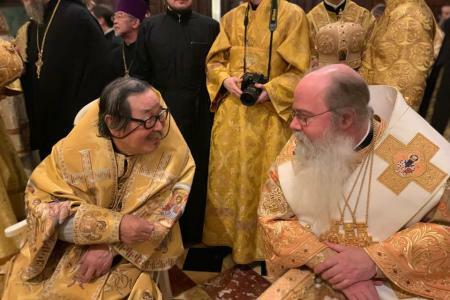 They also visited the Sretensky Monastery and Seminary, where Metropolitan Tikhon and Bishop Daniel served at the All-Night Vigil with Bishop Matthew. On Sunday morning, February 3, Metropolitan Tikhon, Bishop Daniel and Bishop Matthew, together with Father Daniel Andrejuk, Dean, and guest and parish clergy. 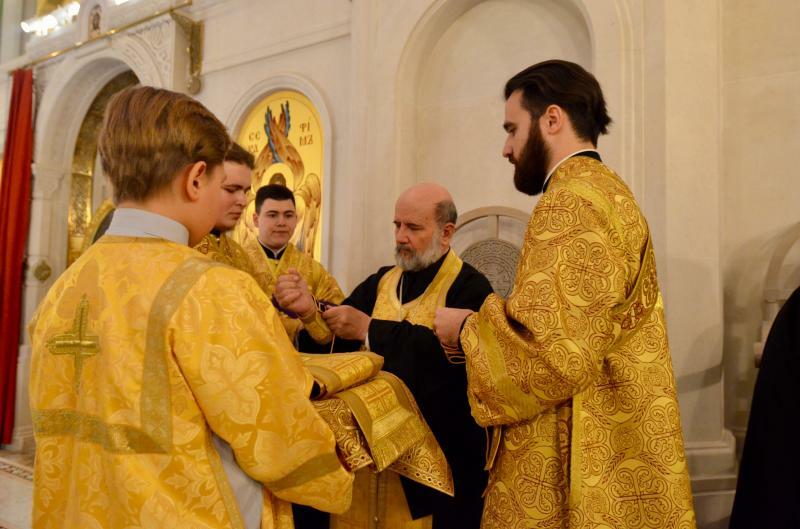 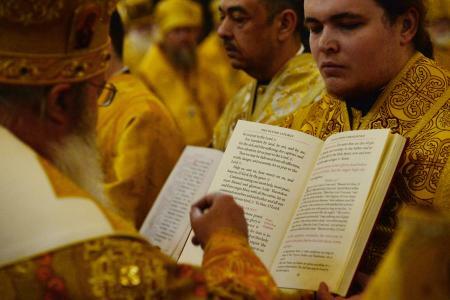 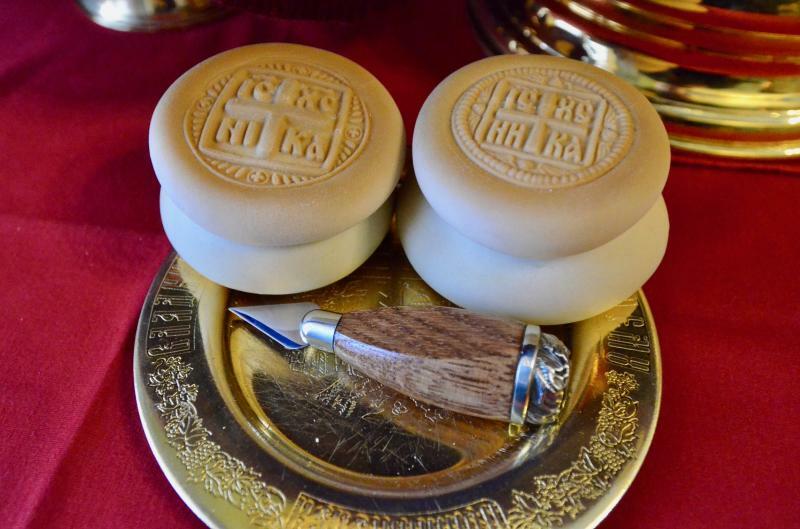 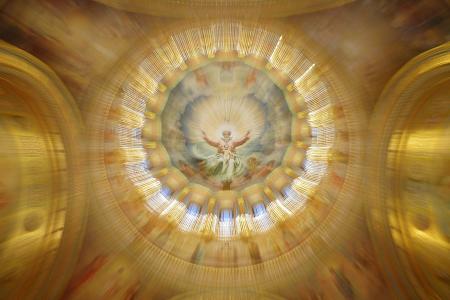 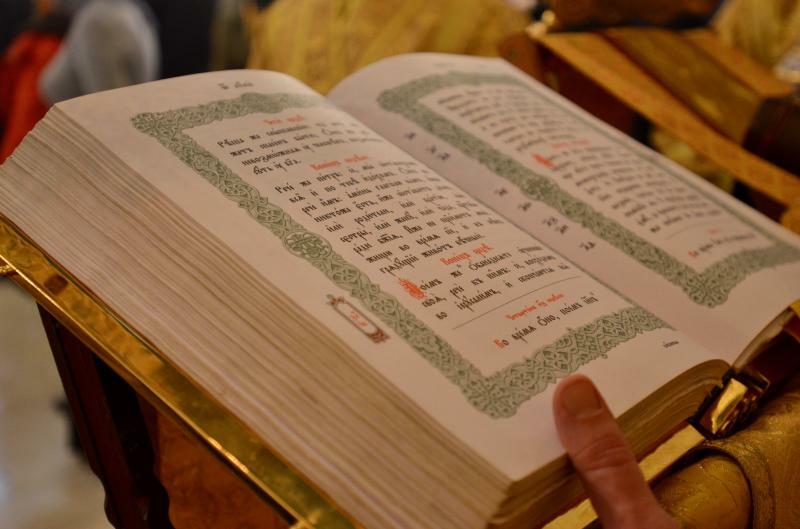 [A series of videos of the Divine Liturgy is available online.] Following the Divine Liturgy, Metropolitan Tikhon thanked Father Daniel and Matushka Vera as they begin their second year of service in Moscow and enjoyed a luncheon before departing for the airport and their return flight to the US.